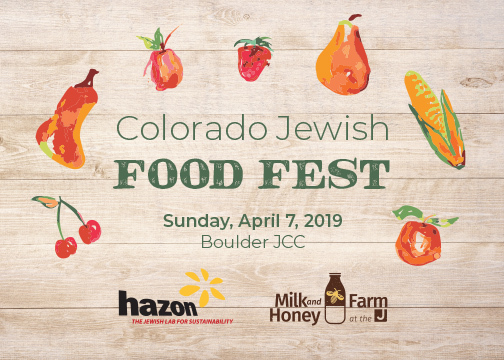 Come check out the 8th annual Colorado Jewish Food Fest, a dynamic day of eating, “learnshops”, farm tours, and more. It's a delicious, multi-sensory experience at the intersection of Judaism, food, and sustainability to leave you inspired and empowered. Created for all ages to experience how Jews do food in the 21st century! Just $5 in advance. Sunday, April 7, 10:00 - 2:00 at the Boulder JCC. Get all the details and tickets here.